New Image Drywall, LLC is a Colorado Commercial Drywall Contractor that has a vast array of specialties to service several of the scopes that most General Contractors depend on these days. 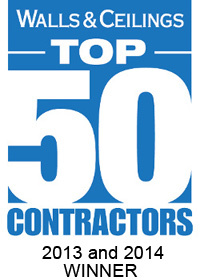 NID is considered one of the fastest growing most productive interior finish contractors in the region. We are known across the state of Colorado as the preferred Drywall contractor for any commercial project. We are also known for exceeding the expectations set forth in the industry. With a diversified management team and superbly educated field personnel we can take any project from “Concept to Completion.” Give us a call on your next project, you won’t be disappointed. New Image Drywall’s Service Areas include: Colorado Springs, Pueblo, Walsenburg, Trinidad, Alamosa, Rocky Ford, La Junta, Lamar and everywhere in-between.